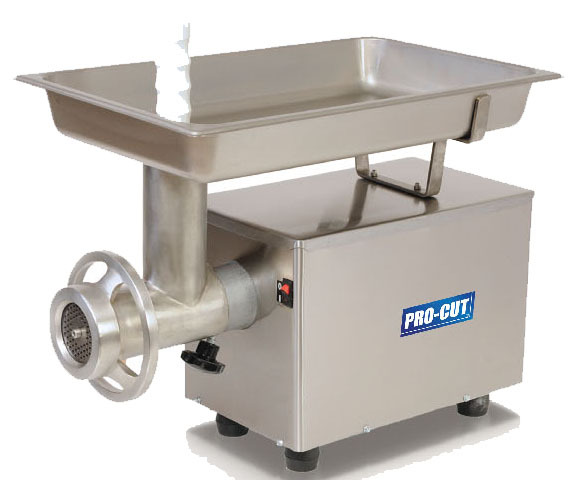 This unit features easy to clean stainless steel construction and a high capacity head with a powerful 1 HP motor. The powerful oil bathed steel gears transmission, with no belts or pulleys allow for low noise and minimum maintenance. The high grade stainless steel cabinet and tray provide high corrosion resistance and easy clean-up allowing a hygienic operation and a professional presentation. Grinding system components are strong cast iron parts, with dip tin plating for hygiene and corrosion resistance. Grinds up to 21 lbs./min. through 3/8" plate. This grinder ships truck freight only. Residential or limited access deliveries incur additional delivery charges. Call 812-998-2277 or email: Customer Service for shipping quote. 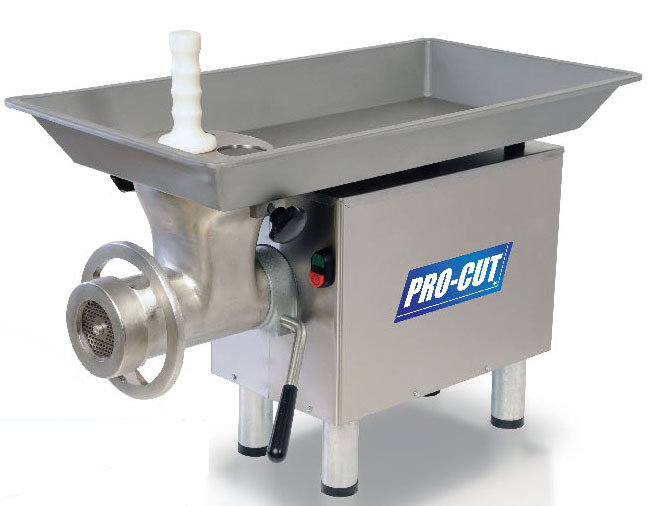 11/21/2015 – Can you buy different size plates and an attachment for stuffing sausage?